"In my dreams," John Scofield says, "I would have one music that was the only thing that I did." Those are the musings of one of music's most adaptable, yet distinctive, electric guitarists. 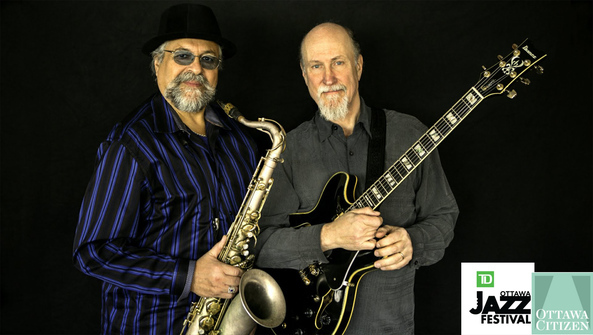 Over nearly four decades, Scofield, 64, has made exceptional records that slot into many of jazz's sub-genres. Broadly speaking, he oscillates between the swinging, largely acoustic jazz that traditionalists love and more rocking, electrified music. Scofield's projects this year alone attest to his eclectic ways. A few weeks ago in New York, he was playing groovy, original electronica-influenced music with keyboardist Brad Mehldau and drummer Mark Guiliana, both several decades his junior. This fall, the guitarist is to release the album Country For Old Men, a collection of tunes by George Jones, Hank Williams, Merle Haggard and even Shania Twain. But don't expect any country music when Scofield, or Sco as he's more simply known in jazz circles, plays the TD Ottawa Jazz Festival this Saturday with the irreproachably jazzy quartet that he co-leads with saxophonist Joe Lovano. Scofield makes sense of the many settings that he finds himself in by saying: "Actually, I think the different idioms inform each other, and it's all jazz, so to speak. I don't want to play any kind of electric music that doesn't have a breathing, improvisatory style. It's pretty much me - I pretty much go back and forth."